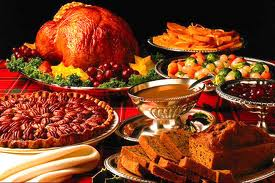 Thanksgiving is a day to express gratitude for everyone and everything we are thankful for. That being said… in this country we have a tendency to also take this “holiday of gratitude” to enjoy a little over indulgence in good food and good “cheer”. Now, I am not telling you to NOT over indulge. Heck, part of the fun is eating more in one meal than you normally do in ONE day and then getting to plop down on the couch, turn on some football, and rub your stomach groaning loudly (with love and gratitude of course) about HOW FULL you are!!! We ALL do it, and quite frankly, it is probably good for the soul to do so once or twice a year! Before your meal – take a few capsules of a good, high-quality, broad-spectrum digestive enzyme to support your stomach and pancreas. Try taking a good bitters formula – this stimulates your own HCL (hydrochloric acid) production and pancreatic enzymes. And YES… a stout or dark beer does contain bitters that can actually help with digestion!!! Try drinking most of your liquids BEFORE your meal and maybe two hours after eating so you don’t dilute the digestive enzymes and slow down the digestive process. Chew your food properly. A LOT of people (this guy included) tend to “inhale” our food because it taste SO good. Slow down, chew properly, and savor it! Take some time after eating BEFORE eating dessert. Maybe even go on a short walk and THEN eat dessert. Maybe try doing a vita-mix veggie cocktail or veggie based “juicing” upon waking the next day. This is very easily digested, hydrating, and gives the digestive system a break before you dive into leftovers at lunch and/or dinner. If you have access to a Far Infrared Sauna – try getting in a good sweat the next day for 20-30 minutes. Last of all… don’t stress about 1-2 days of over-indulgence. No one puts on “permanent weight” in 1-2 days of eating. You might be on some “water retention weight” but 2-3 days of eating well will help you get right back to your pre-turkey day weight. 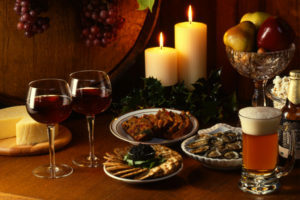 Just ENJOY the GOOD food, good company of friends and loved ones, and GOOD cheer!!! Peace and Gratitude to you and yours and have a very BLESSED Thanksgiving!! !